She is a 16 year old activist. 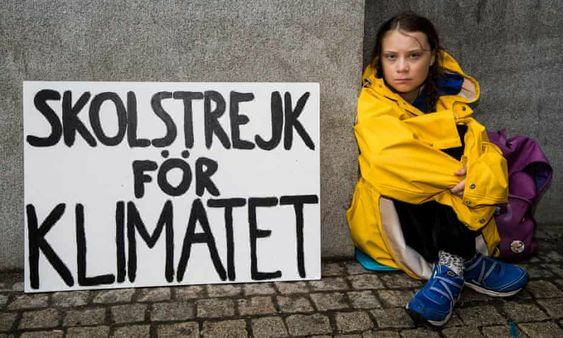 Greta is an inspiration to many, as she started to protest against the Swedish government so that they would reduce their carbon emissions to that agreed in the Paris Agreement. Since August 20 she hasn’t gone to school on Fridays, instead, she stands outside the parliament with posters protesting against climate change. Now the movement is called Fridays for Future. Since December, she has motivated more than 20,000 students around the world to protest and join her movement. She is now nominated for the Nobel Peace Prize. In December she attended the COP24 in Poland, where she addressed climate change in her speech which reached millions around the world.